These Blank magstripe cards are a fantastic low cost option for those who need to print magstripe cards. Blank magstripe cards; ideal for use as loyalty, gift, hotel key cards and much more. 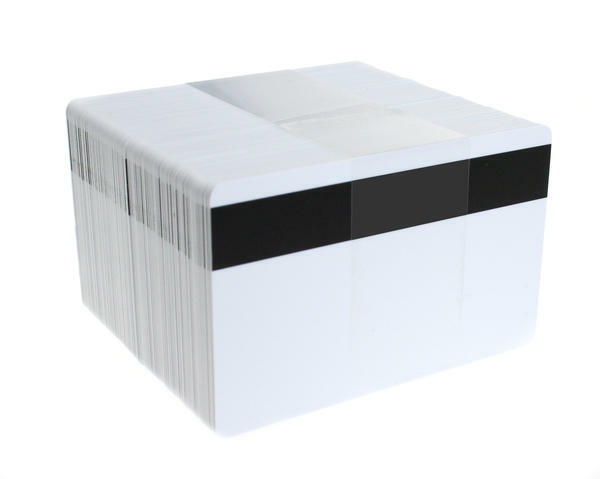 We sell our magnetic stripe cards in packs of 100 providing you with a lower cost per card. We stock a wide range of magnetic stripe and other technology cards. Magnetic Strip cards offer a low-cost option compared to other technology cards; they can be easily encoded or re-encoded in seconds and can store more data than a barcode. Magstripe Cards are extremely hardwearing with a lifespan of 3 years on average. Magstripe cards can be encoded in seconds and are ideal for a whole range of plastic card applications. Loyalty, git or membership cards, as well as any point of sale systems – to name but a few.